Is this your site or mentioning somebody else’s. I still didn’t really understand if it’s something you are personally working on. 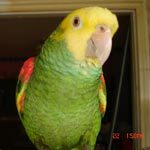 I’m fine with legit forum participants mentioning or linking to their outside parrot related websites as long as they are here for the purpose to participate rather than link. Hi, Patty, nice to hear from you, again. The idea seems like a good one but it also seems like a monumental task. We've had several good ideas that started strong but died off as time went by and people did not really contribute or cooperate [the standardized rescue report was one] so I hope that this does go through. Well Michael since you mentioned it , when we get a good draft of our format done how would you feel maybe becoming a part of this and possibly after you review things integrating this into your site. You already are up and running with the knowledge of how to do things and keep it running. I am completely at the mercy of strangers unless I go to a professional company. I did a little research on my idea before even getting started and the response was overwhelming from all over the world . Thousands responded in a matter of a few days. I'm not looking to control the site or receive anything other than the satisfaction that there's a place people can go and find resources , private and public for emergency care and parrot sitting and a home for there bird incase they die thus the god parent registry. Also a link to possibly get info or locate your long lost bird that had entered the rehoming circuit. This could breath a lot of life into your site as well. I am a networking freak and once on a mission can't be stopped. Let me know if this is something you might be interested in. Some years ago, I probably would have tried it. But right now I'm just too tied down and wouldn't have the time. But I am all for the idea. Let me know how it goes and feel free to share your site here. I took in a Cockatiel when I took Rainbow. I had him for two years when I found out the woman was ready to have him back. We she came to get him he was so excited. He remembered her after all that time. This is a great idea. It will be a lot of work. One of my friends is a moderator on the parrot 911 Facebook pages and it seems that she is posting 24 hours a day. I’ve had hundreds (I should count them up one day) of birds come through the rescue since 2015 and we never once had a Polly! I think next time we get a nameless bird it will become Polly, or Pauly.